Address: 1780 E. Buena Vista Dr.
What's there to do when you're not in the Parks or it's way after dark? Day or night at Downtown Disney area, choose from dining with dinosaurs to a distinctly Disney shopping extravaganza to catching incredible live music and shows! Divided into 3 sections Downtown Disney West Side, Downtown Disney Marketplace and Pleasure Island Downtown Disney area is an ever changing destination committed to keeping the experiences exciting and new. Dont drive or use a designated driver. Take your own food, Downtown Disney can be expensive. Offers Walt Disney World visitors the latest movies with comfortable stadium seating in an Art Deco setting. La Nouba is an avant garde circus spectacle celebrating life that is performed exclusively in the Downtown Disney Area by the world famous Cirque du Soleil, featuring renowned acrobats, athletes and performance artists. 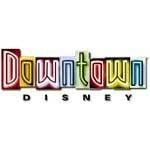 Is a one of kind gaming experience in the Downtown Disney area. Discover 5 floors of virtual reality, 3D encounters and classic video games from the past. Is a live music club in the Downtown Disney area where regional and national musicians perform and delicious Southern cuisine is served. Created by Gloria Estefan, this colorful restaurant is a recreation of a lively 1950s Havana nightclub. Serves up Latin music and authentic Cuban concoctions. Set in a riverboat replica docked on the waterfront, this restaurant features more than 50 fresh seafood selections flown in daily, as well as non seafood specialties. The best regional and national musicians perform day and night while delicious Southern cuisine is served at this live music club. At this waterfront restaurant, select from the award winning wine list to pair with the authentic flavors of Italy found in signature pizzas and pasta dishes. Traditional pub fare is served in a spirited atmosphere where there's beer on tap and live bands add to the nightly entertainment. Enjoy performances by the best regional and national gospel groups while savoring delicious Southern cuisine. Choose from 12 hot gourmet sandwiches, 4 tossed salads and the signature breakfast: 3 Berry Muffin Crown. This quick service restaurant is famous for freshly prepared Latin chicken, flavorful side dishes such as yuca fries and sweet plantains, and Latin drinks including horchata and tamarindo. Admission to DisneyQuest Indoor Interactive theme park is required to dine here. Find fast foods from burgers and wraps to pizzas and salads. Perk up with freshly-brewed coffee and coffee products by Joffrey's Coffee—in 2 Downtown Disney locations. Perk up with freshly brewed coffee and coffee products by Joffrey's Coffee.in 2 Downtown Disney locations. Fresh A-Peel has a back-to-basics approach to serving family favorites. Chef prepared entrees includes salads made with locally grown produce, all-natural burgers, and balanced kids meals served with fresh fruit and healthy sides. Other delicious menu offerings include gluten free, low-sodium and vegetarian options. Indulge in sundaes, floats and shakes, as well as a delicious selection of the chocolate that makes Ghirardelli famous. Ice cream, lemonade and 7 varieties of big, hand-rolled and freshly baked pretzels are available. Dine on chef's specialties of seafood and American cuisine in a casual waterfront setting with a panoramic view of Buena Vista Lagoon. North, Central and South American cuisine are represented at this new restaurant that features an extensive tequila bar and nightly entertainment. Satisfy cravings for favorite American foods at this star-themed restaurant decorated with movie memorabilia and props from Hollywood's hottest films and TV shows. This jungle themed restaurant, with simulated weather patterns and animated animals, caters to animal lovers looking for tasty pasta, poultry and vegetarian selections. This dinosaur themed family eatery serves meals amid life-size animated prehistoric creatures, educational displays and merchandise. Kids can explore special hands-on areas.